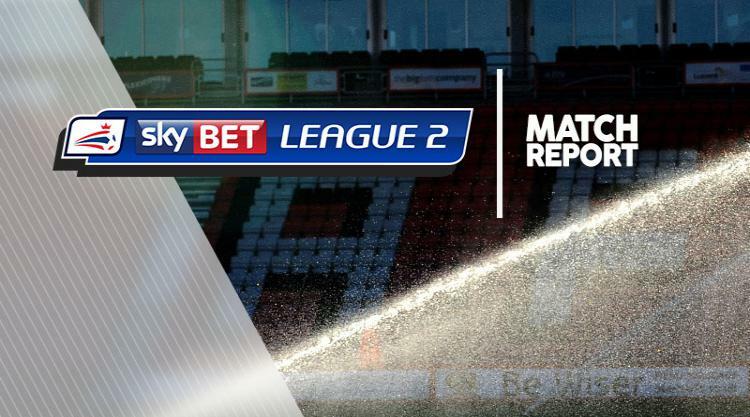 Port Vale moved four points clear of the League Two relegation zone with a 2-1 win at Carlisle. Second-half goals from substitute Tyrone Barnett and Tom Pope put Vale in the driving seat before Richie Bennett pulled one back for Carlisle, whose winless run extended to four games. Hallam Hope and Richie Bennett both failed the find the target early on for Carlisle while at the other end goalkeeper Jack Bonham deflected Michael Tonge's close range effort on to the crossbar. Vale grabbed the advantage five minutes after half-time when a mix up involving Mike Jones and Clint Hill enabled David Worrall to set up an unmarked Barnett to coolly score into the bottom corner. The visitors added a second on the break in the 69th minute when Worrall played in Pope who lifted the ball over the advancing Bonham. Carlisle came close in 77th minute, with Bennett's header hitting the bar before Shaun Miller and Hope both had efforts cleared off the line. Bennett scored three minutes later following Danny Grainger's corner but Carlisle could not find their way past Ryan Boot again.